St. Peter of Alcantara was a priest well acquainted with suffering. He took upon himself many penances. His Feast day is Oct. 22nd and he is a model for the acceptance of sufferings. A person’s daily sufferings, borne in either patient resignation or joy, and joined to the Holy Cross of Our Lord is a mark of eternal glory. To reject sufferings, sacrifices, humiliations, and mortifications in this life is to walk the broad and easy way that leads to destruction (Matt 7:13-14). 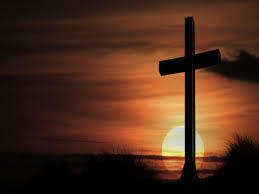 Our Lord himself clearly stated that we are to deny our desires, take up our cross daily and follow Him (Mark 8:34-36). Our Lord is calling us out of our selfish self-centered lives and into “the works (Will) of Him Who sent Me.” (John 9:4). This is from Devotion to the Most Precious Blood of Our Lord Jesus Christ a book with an imprimatur from the Bishop of Horin Diocese in Nigeria, Ayo-Maria Atoyebi O.P. Our Lord has given the “Cross of Perfection,” to help us do this. It is a model for carrying our own crosses. Just as there are four projections to a normal cross, there are also four graces that can be acquired by diligently applying Our Lord’s teachings to the carry?ing of our own crosses in life. Reflect frequently on these teachings until you have collected and refined all the ‘planks’ and master the Cross of Perfection. We are enjoined by Christ in the Gospel to love all His creatures on earth, even our worst enemy. “Love your enemies, do good to them that hate you, and pray for them that persecute and calumniate you. ” (Matt 5:44). One can demonstrate this love by offering Masses, prayers, and fasts for the conversion and sanctification of all those who offend, hate, or persecute us. We can demonstrate this love further by performing corporal and spiritual works of mercy on behalf of our needy brothers and sisters. This task will be dry and difficult at first, but as we persevere, this plank of the Cross will become sweet. Jesus said: This royal road is a gracious way for those who love Me. They see the ocean of sanctifying grace along the way. This grace is a source of power and strength for them. They embrace it and remain firm, but for those who hate My Cross, it is a stumbling road. Children, My way is easy for those who love My Cross. This way is the road of happiness since its end is a land full of happiness and joy! Mighty men have stopped on the way,. they stop the moment their love for Me and the Holy Cross vanishes. Children, no one can walk through this land to the land of happiness without true love for the Holy Cross. True love has no attachment to self. He has the self crucified. True love lowers itself and takes the lowest position. He chooses to serve than to be served. True love has no attachment to the world. He lays his love completely on the One who died for love of him. True love realizes that to die for the One he loves is greater than any love he will show to his Lover. True love follows his Lover wherever He goes. He rejoices with Him, and suffers with Him whenever the time comes. I am the Agonizing Jesus Christ who calls you to follow Me. My way is a desert way .. .it is a Calvary. I am calling all My lovers to follow Me through this royal way of the Cross. I choose it for your sake. This is the way My Father has kept for Me from the beginning for your salvation. This is the way I follow to set you free, let all My lovers follow it back to our joyful home. No person can hope to enter Heaven without total forgiveness of one’s sins. Our Lord in heaven waits to hear our cries of repentance, so that He may shower our contrite hearts with the rich graces of His forgiveness. But what of those who sin against us? Our Lord himself gave us the simple rule to follow, “And forgive us our debts, as we also forgive our debtors.” (Matt 6: 12) We will be forgiven by the same measure that we forgive others. “For the same measure that you shall mete withal, it shall be measured to you again. “(Luke 6:38) Do not wait for words or deeds of repentance from those who offend or injure you. Forgive them with all your heart the very moment you are offended. This applies even to those who would have us put to death or cause us grievous harm. Following the example of Christ, His Apostles and Martyrs of the Church, we are called to forgive our enemies everything. “Father, forgive them, for they know not what they do.” (Luke 23:34) “And falling to his knees (Stephen) cried in a loud voice, saying, ‘Lord, lay not this sin to their charge. “(Acts 7:59) This plank is very difficult for a soul to attain, “but with God all things are possible.” (Matt 19:26) Pray for a generous spirit of forgiveness. stamp your heart. Love them as your true friends. Children, even if they refuse to accept your appeal for peace, forgive them and show more love to them. Children, true love is forgiveness .. .I am the model of forgiveness … You are to forgive even at the cost of your life. Bless those who curse you. And have compassion on those who hunt for your life. Pray for those who persecute you. Offer more of your wealth to those who take your possessions by force ... Truly / say to you, there is no grace for one who is offended if he waits for the one who offends him to ask for pardon before he forgives and forgets the injury. This is because he has received his consolation in the world. O what multiple graces for the offended one who pleads with love to those who offend him to forgive him. / say, he gains multiple graces which remit thousands of years from his Purgatory days. Children, / say to you, ask pardon of those who offend you. Do it with love. Do it with a repentant heart .. .I am the one whom they are persecuting. / am the one who will judge them. / am the one to pay them back. This is a royal Cross of perfection. All followers of Christ must be truthful at all times. (Eph 4: 14-15) Nothing false must issue from our tongues, even if we are to starve or die, especially for our faith. No falsehood was ever presented by Our Lord or Our Lady. ” .. put on the new man, who according to God is created in justice and holiness of truth ... put away lying, speak ye the truth every man with his neighbor .. “(Eph 4:24-25) The exalted state of spotless virginity and truthfulness are the only two marks mentioned in the Book of the Apocalypse that will be upon the 144,000 marked with the sign of God (Apoc 14: 1-5). We are called to humble ourselves to the lowest point in imitation of Christ, His Holy Mother Mary and the Saints. Our Lord condescended to be carried for nine months in a humble virgin’s womb, born in a lowly stable on a cold night, live as a refugee in a foreign land, live a hidden life as a humble carpenter, and die crucified shamefully between two thieves. In Our Lady’s heart, she saw herself as nothing more than the handmaid of the Lord (Luke 1 :38). In her canticle to St. Elizabeth she said, “He hath put down the mighty from their seat and hath exalted the humble.” (Luke 1 :52) Not proud, not self-assertive, modest in nature; this is the cornerstone of all virtues. Jesus said: “My children, drop the heavy Cross of pride which the evil one lifted on you and receive from Me the royal light Cross of humility … Consider that your God took the nature of man and be?came man. Your God abandoned His divinity and lowered Himself?to the same nature as His creature; He took the lowest position. ?He is the poorest among the poor so as to console those that are poor … Children, accept all humiliations with love. Quarrel not with those who falsely accuse you, rather, accept the criticism silently with love. Rejoice when they call you names … never utter a word of remorse ... Truth will prove itself when the hour comes. I am the truth, I will not disappoint you ... Even if your family may take your earthly possessions, just speak the truth and yield to the Divine Will. Even if your humility may take your personality away … submit to the Will of God .. .!f your humility hinders your ministry or occupation .. .I say obey .. .Learn to take the lowest position among My people … You lose multiple graces by avoiding this noble work of being a servant. Who is great? The servant, or the master who receives the service of the servant? You might answer the master, but I tell you truly, the servant is great in the sight of God. Children, the little will be great and the great will be little. I appeal to all My lovers to drop the heavy Cross of pride and take from Me the lightest Cross – humility.